The dust has now settled on the Crop Over festival and many are nursing their carnival tabanca (blues). 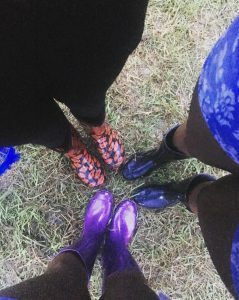 For me, this year was quite tame as I attended less events than usual and the heavy rain put a new Glastonbury festival type spin on a few of the events with the mud baths that developed during the fetes. My friends and I are prepared to party in all kinds of weather. What has not changed, are my pet loves and peeves for the season and I decided to let y’all know exactly what they are. Soca Music – Well DUHHH?! If I didn’t love soca, then this would make this whole list absolutely pointless. I always say that soca music deserves it’s own Grammy category. As I grow older I find that I am more likely to favour the sweet soca tempo which is slower, but one thing is for sure, there is enough musical variety to help keep the heart rate and vibes up. From as early as June, the Crop Over fete calendar explodes with all-inclusive events (food and drinks included), cooler fetes (bring your own cooler full of your own beverages), cruises and concerts (with soca artistes). Next to soca music, one of my favourite things about Crop Over is the positive vibes. It’s almost impossible to be angry and dance to soca. Anyone who has an appreciation for the music and the festival loves Crop Over for the merriment. It’s like another kinda Christmas but with wining, juking, pelting waist and at least some who try. Soca lovers from near and far descend upon Barbados during the Crop Over season and it sure is a beautiful thang to see everyone feteing and liming (chilling/socialising) together. If you are a new visitor to the island, it’s pretty hard to avoid attending at least one Crop Over event and leaving the island liking at least ONE soca song. Now let me just start with the disclaimer. This list has more items than my loves, but don’t get it twisted, my loves far outweigh my dislikes and it is proven because as long as I am in Barbados during the season, I participate as much as I can. Jesus take the wheel! 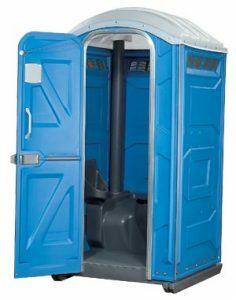 My least favourite activity during these events is using the porta-loos. They are usually dark, become increasingly disgusting during the event and seldom have toilet paper. If it is possible I try to avoid using these and activate kegel exercises for as long as humanly possible. The queue to get into some events can be ridiculously long and chaos. There is nothing more annoying than having to wait more than 15 minutes to get food or drink at an event. Tell ’em one mo time Aunty Maxine! As I would have mentioned in the list of my loves; there is a high probability of hearing the same songs at the different events. The current year’s soca releases will be in high rotation and every DJ wants the crowd to TURN up (wine, juk, pelt waist or at least try) when they play the most popular songs. When you’ve heard the same songs played by each DJ at the same event, it does however, become kinda played out (pun intended). I also said earlier in my love list that soca artists release new music EVERY YEAR, so there is plenty for the DJ’s to use and show off their creativity when mixing the old with the new. I always say each year, that I will make an effort to do the more cultural Crop Over events, Bridgetown Market, Calypso tents, Crowning of the King and Queen of the Crop, but somehow I never quite get around to it. I would love to see more investment in the cultural events so they can attract a larger audience. With all that being said, I do hope the promoters will listen to the feedback of their patrons and continue to improve the experience ….. Roll on Crop Over 2018! LOL! How could I forget wukkin up! I think ‘pelt waist’ would be the synonym for wuk ups. LOLOL! This was both funny and true! Great read cuz and I so agree with you. I need to get back to Bin real soon.